Mubychem Group, established in 1976, is the pioneer manufacturer of Magnesium Acetate, Pharmaceutical, Fragrance & Flavor chemicals in India. Mubychem Group has several manufacturing facilities spread across Gujarat and Mumbai India and world wide contacts and toll manufacturers. We are exporting globally to countries like USA, Europe, UAE, South Africa, Tanzania, Kenya, Egypt, Nigeria, Uganda, Turkey, Mexico, Brazil, Chile, Argentina, Dubai, Indonesia etc. 98.0 per cent to 101.0 per cent of magnesium acetate (anhydrous substance). 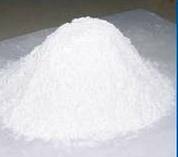 Colourless crystals or white, crystalline powder. Freely soluble in water and in alcohol. A. Dissolve about 100 mg in 2 ml of water. Add 1 ml of dilute ammonia and heat. A white precipitate is formed that dissolves slowly on addition of 5 ml of ammonium chloride solution. Add 1 ml of disodium hydrogen phosphate solution. A white crystalline precipitate is formed. B. It gives reaction of acetates. Dissolve 2.5 g in carbon dioxide-free water and dilute to 50 ml with the same solvent. Potassium: Maximum 0.1 per cent. Heavy metals: Maximum 40 ppm. Readily oxidizable substances: Dissolve 2.0 g in 100 ml of boiling water, add 6 ml of a 150 g/l solution of sulphuric acid and 0.3 ml of 0.02 M potassium permanganate. Mix and boil gently for 5 min. The pink colour is not completely discharged. Water: 33.0 per cent to 35.0 per cent, determined on 0.100 g.